AUSTIN, October 22, 2012 – Time Warner Cable (NYSE: TWC) has announced today that Todd Baxter, former general counsel with the Texas Cable Association, will join the company as Regional Vice President of Government Relations in Texas. Todd will be stepping into the position held by Ron McMillan, who announced his retirement earlier this year. Todd will officially start at Time Warner Cable on November 5. As Regional V.P. of Government Relations, Todd will oversee the Time Warner Cable governmental relations team in Texas. Todd will be responsible for promoting Time Warner Cable business objectives in regards to local governments and the state of Texas, and will handle company interaction with policy makers and agencies to advance the company legislative agenda. For the past seven years, Todd served as the Vice President of Government Affairs and General Counsel for the Texas Cable Association. Prior to joining TCA, Todd held public office between 1998 and 2005 as a Travis County Commissioner and then as a Texas State Representative. As a Commissioner, Todd chaired the county’s E-Government Oversight Committee where he spearheaded the effort to modernize county government services online. In the Texas House of Representatives, Todd served on the House Regulated Industries Committee which had jurisdiction over telecommunications and electric utilities. He was awarded the “Austin Under 40 Public Service Award” in 2005. Capitol Inside, a Texas politics and government publication, named Todd as one of the top “Rising Lobby Stars” in its 2006 annual Lobby Power Ranking. “The Texas Cable Association’s loss is certainly Time Warner Cable’s gain, but it is good news that Todd will remain in the cable industry family.  Since Todd joined the Texas Cable Association in late 2005, TCA has become a significant player at the Texas Capitol. He has brought to the cable industry a depth of knowledge and a unique perspective that has allowed the cable communications industry to prevail on a number of critical issues,” added Dale Laine, president and COO, Texas Cable Association. For more information about Time Warner Cable, please visit www.timewarnercable.com.